What makes red cabbage feature a stunning color is its rich supply of flavonoids — plant pigments with fantastic antioxidant properties. 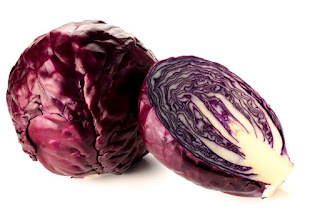 Also known as purple cabbage or red kraut, it is actually a derivative of the traditional cabbage. The difference between red cabbage and the more common one is that the former has a longer shelf life and packs more flavonoids. Just like its traditional counterpart, red cabbage may be eaten raw or cooked. It’s for this reason why you are not going to have a hard time including it in your diet. Want to know some of the best reasons why you should consume more red cabbage? Read on to get acquainted with the numerous health and beauty benefits this head-turning vegetable brings. The vegetable owe its beautiful color to the loads of antioxidants it brings. Consuming it means you are flooding your body with powerful free radical-fighting molecules. Free radicals damage healthy cells, potentially causing them to mutate and turn cancerous. If you wish to significantly reduce your risk of having cancer, simply increase your intake of red cabbage. Part of an effective weight loss plan is the consumption of more fruits and vegetables. You definitely want to add more red cabbage to your daily meal because it is so filling. With tons of fiber, you will find it so easy to steer clear of overeating. This vegetable is also very low in calories, but it packs an impressive load of vitamins and minerals. There are so many nutrients in red cabbage and one of the most worth mentioning is vitamin A. This vitamin is essential for healthy eyes and sharp vision. It is actually a type of antioxidant that protects the cornea — that transparent front part of the eye. Vitamin A also protects light-sensitive layer of cells at the back of your eyeballs that’s called the retina. Having a strong immune system means less sicknesses and infections. One of the easiest ways to bolster your immunity is by consuming more red cabbage. This vegetable is packed with vitamin C, a nutrient known to help strengthen the immune system. Eating red cabbage is also a good idea if you have colds or cough to shorten the duration of the condition. Osteoporosis is a condition wherein the bones become soft and brittle. Adding more red cabbage to your diet can help prevent this problem from showing up. That’s because this vegetable with a really lovely color contains all sorts of minerals necessary for strong bones. They are calcium, magnesium and manganese. If you are bugged by painful stomach ulcer, all you need to do is have meals with red cabbage in them. Better yet, regularly consume red cabbage juice which is packed with health-giving nutrients. This vegetable contains glutamine, an amino acid known to relieve pain and inflammation of the lining of the digestive tract, both of which related to stomach ulcer. Vitamins A and C in red cabbage are both powerful antioxidants. They are known to be very good for the skin, in particular keeping it young-looking. The antioxidant action of these vitamins helps keep your skin moisturized and soft. Vitamin C most especially is linked to the elimination of various aging signs such as fine lines and wrinkles.